A warm Winter playdate: The Mile are famous for their Smile Café, a lovely café serving great food with an indoor soft play area. It’s an ideal place to meet during the colder months with little ones and I often meet friends there. It’s ideal for a coffee and snack if you’re driving to York, or a lunch date with the kids. The food is from local suppliers and the kid’s selection is excellent. 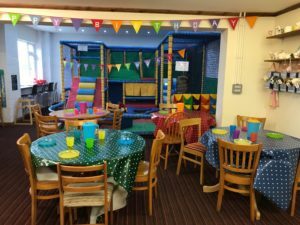 Kids Parties: Finding a party venue in the winter can be hard but the Smile Café can be hired exclusively for your party with plenty of fun activities to suit all ages. The family-friendly play café is available for parties Monday to Saturday from 4pm and every Sunday afternoon from 1.30pm. For younger children, under five, there’s a lovely indoor soft play area with double slide, mats and building toys. 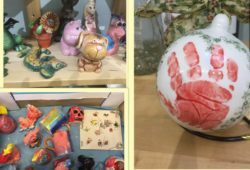 Older children can also indulge their creative sides with Paint-Your-Own-Pottery and Be-My-Bear parties – super messy and lots of fun. 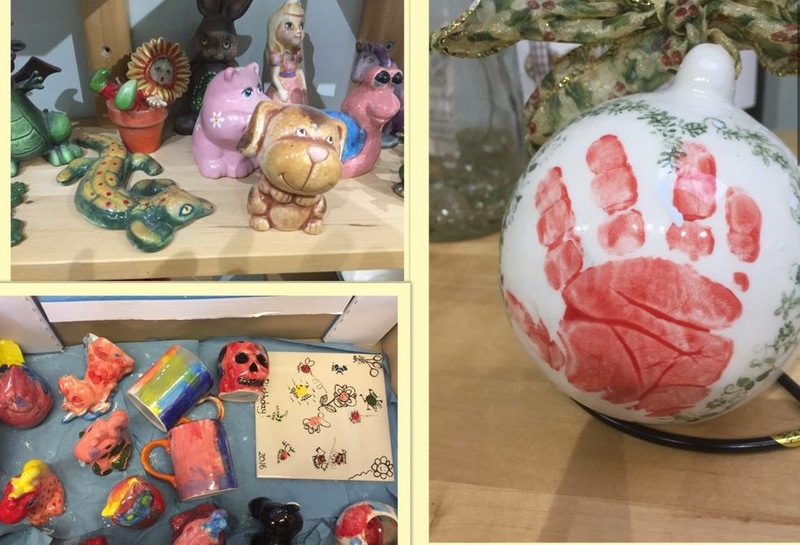 Pottery painting: A lovely idea to do with your family, they have pottery painting sessions available in the run-up to Christmas to paint a festive decoration or gift. There is a dedicated day for painting on the 1st December but other sessions are available, call them for times and bookings. Personalised Gifts: Next to the Smile Café is a dedicated photo and gift centre. 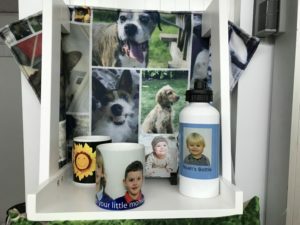 With a wide range of items that can be personalised with your photo’s, from water bottles and cups to cushions and blankets, simply choose your item and photo to get a lovely personalised gift this Christmas. You can also print out photos direct from your phone whilst you are there; I have so many pictures on my phone but never get round to printing them off so love that I can get some printed whilst visiting. They also have a passport photo service if you need a new picture for a little ones passport. Christmas Trees: They will be selling real Christmas tree from 1st right up to 24th December. 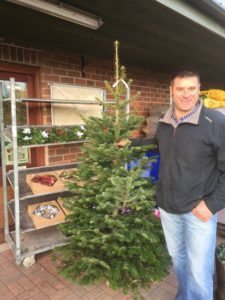 The trees are Nordman non-drop and come in a various sizes, just call in and browse their range. Local produce & hampers: If you are looking to buy local this year, The Mile have a wide selection of local produce for sale which would make an ideal, unique Christmas gift, such as gin sets and breakfast hampers, all from Yorkshire. They also sell Christmas hampers that can be bespoke made to any requirements and to suit any budget. Events: Looking ahead to 2019, they are starting the year with a great event at The Mile – Meet the Producer is on the 26th January from 2-5pm. Next year The Mile are celebrating their 21st birthday in business and are starting the celebration with this January event. Specially chosen suppliers have been invited to showcase their produce, giving you the chance to sample their wares and find out more about being an artisan producer and why shopping local is so important. Its free to attend and there will be a lot of food and drink to sample. Just contact them to reserve a place.